There was this interesting item on the news last night that talked about the Filipino trait of buying pasalubongs everytime he goes on a trip. I had to agree with most everything that the item said. Indeed, which Filipino does not set aside even just a tiny part of the travel budget to make sure that there are at least tokens to take back home? Those who have the means, of course, will be bringing home much more than just tokens. That is why, in airports abroad, you can always tell which check-in counter belongs to Philippine Airlines. There is almost inevitably bound to be a long queue of balikbayan boxes waiting to be checked in as well. An expert interviewed last night said that it was an Asian thing; that since Asians historically have always been on the move, it has also always been expected for the traveller to bring home something from lands far and away that have been visited. Yeah, well, if he says so. You and I, we all know that the pasalubong is a symbol of affection and thoughtfulness. 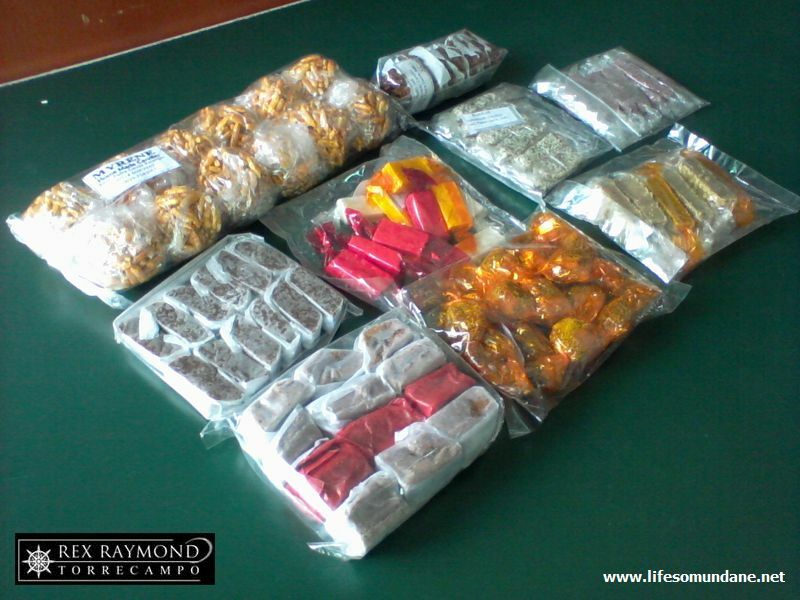 Each pasalubong is purchased with the thought of baka magtampo. Or, and this is true as well, baka masabihang madamot o makunat. The pasalubong, therefore, is tangible proof na naalala ka. Do we not all feel even just a tad upset na hindî man lang nabiyayaan kahit na espasol o uraro purchased from a makulit na bus vendor? The pasalubong also has a cousin: the bilin. The latter, however, is associated more or less with family and close friends. Anyone not of these categories who actually dares may be branded as walang karapatan. In a work environment, co-workers who may not even be particularly close to the one who goes on a trip may even end up also receiving a pasalubong because it is simply customary with or without the bilin. It is something expected not just of those who go abroad. 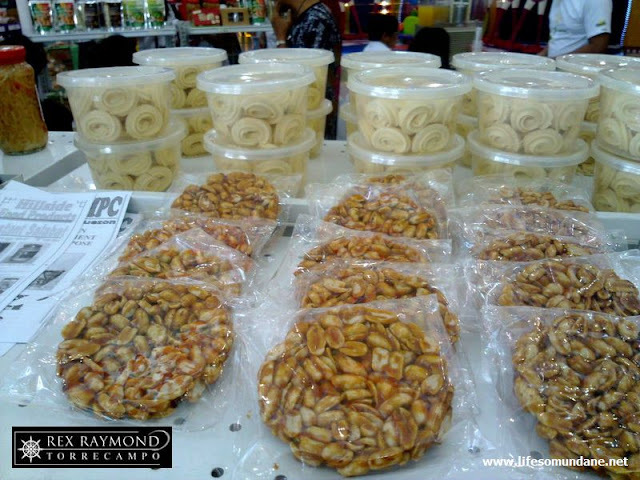 Even if somebody is just going to a nearby town or city, a pasalubong may still be expected or even solicited even if it is just a paper bag of buchi-buchi. And what is it about the pasalubong that it has to be from the place visited? By receiving a pasalubong made in another locality, it is as if nakarating na rin. Preferably a t-shirt with the name of the place printed in large font on its front. And if a t-shirt is a tad on the expensive side, then even just a keychain or a kakanin. That is why I used to have a collection of keychains from cities the world over that I had absolutely no use for except to keep as a collection. What is it about us Filipinos that we also tend to associate certain pasalubong na foodstuffs with places? At the workplace, I used to get packets upon packets of piyaya from those who went to Bacolod and durian or mangosteen candies from those who went to Davao. I was never even fond of the piyaya to begin with. Those who went to Baguio brought strawberry preserves. I used to thank people for their thoughtfulness; then promptly gave away the bottles to those who wanted them. From Baguio I have always preferred the ube preserves which a former colleague used to irreverently say were so good because they were made with gatas ng madre. The list goes on: pili nuts from Bicol; panucha from Batangas; longganisa from Vigan or Lucban; or dried mangoes from Cebu. Yes, even if these are readily available at the local supermarket. Still, the dried mango from Cebu for some strange reason does not feel right unless sumakay ng PAL with the one who goes on a trip. Or one can just play safe and buy a whole box of keychains para wala ng samaan ng luob pa. But this is so lame… We all choose special somethings for our favourites. Oh well… Going on a trip soon? In most probability you will be bringing a bag too large for the few clothes that you will be taking along. You just instinctively know that you will be needing all that space for the trip back home.